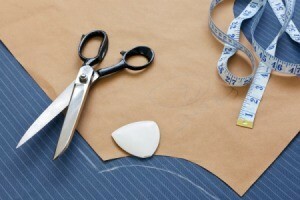 Finding sewing patterns that fit your height and figure can be difficult. There are websites that sometimes fill the gap found in traditional pattern books. This is a guide about finding patterns for petite-plus women. Here's what she says in the chat transcript: "We have the Perfect Fit Guide that shows how to make the front larger or smaller. We draft our patterns for a woman who has narrow shoulders, a full bust, a tummy, a shorter crotch depth and lots of fast curves The height is a woman who is 5 foot 2 inches, but there are shorten/lengthen lines in all the appropriate places if you are taller or shorter." Thank you so much for your post. It seems most designers seem to think that as a woman's dress size increases, so does her height. I can't tell you how many times I've tried on store-bought outfits that looked like they were meant for "amazon" women! When you calculate in the tailoring costs, it's cheaper to sew them yourself, to fit.